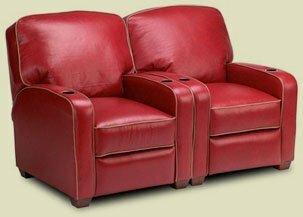 Planning on buying leather furniture? Did you know there are different types of leather? Which is best for you? Read on and learn some important tips to keep in mind when shopping. Start by thinking about the usage patterns you expect with your new leather pieces. Will the furniture be placed in an active, “high-impact” setting with children, pets, food and drinks galore? Or, is your home a quiet, “low-impact” environment? Quality leather is a remarkably durable material that will offer many years of comfort. However, the right type of leather should be selected based upon how you expect the furniture to be enjoyed. As a leather furniture repair and restoration specialist, I repeatedly hear from my clients how their sales person, designer, etc. never told them the leather would stain, fade, tear, etc. So, avoid these problems by learning a few simple keys and asking a few simple questions. To understand the issues let me take you through a mini-primer about leather. 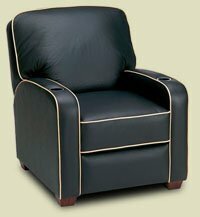 There are two ways of coloring upholstery grade leather – with dyes only or with dyes and pigments. Leather colored strictly with a dye is referred to as unfinished, whereas pigmented leather is classified as finished. So, what’s the difference? Finished leather is colored with the same aniline dye as unfinished leather however these hides go through a secondary coloring process. A pigmented coating (finish) is applied that is chemically engineered specifically for leather. It has to flex and allow the leather to breath so it has unique attributes that differentiate it from common wall paint. Pigmented leather finishes are opaque, creating a colored film on top of the hide. The color coating is then augmented with a clear coat forming its primary protection. This clear coat also dictates the sheen, from gloss to matte. Quality finished leather may not feel as soft and supple as unfinished, but will be able to withstand the rigors of an active household. It won’t stain nearly as readily. It’s easier to clean, and fades so slowly, you’ll never notice it. Your first key is placement. Simply put, active, high impact environment like a family room, media center, conference room, dining room, etc. dictates finished leather. A low impact home, with UV tinted windows and little threat of staining can indulge the beauty of unfinished leather. The next step is to consider your budget. This is where your expectations are appropriately set. There are two primary considerations, the leather and the frame. Top-grain leather is the most durable, but will cost more. This is the epidermis of the skin which offers vast majority of the hide’s durability. Split-hide leather (leather “split” from the epidermis) won’t stand up to the test of time in an active household, but as a low grade is generally more affordable. If you want a piece that will last a long time, then you must insist on top-grain leather. The internals or guts of the furniture should be considered. Is it constructed using hard wood appropriately joined with tight, solid fits, or is it slapped together with cheap pressed board, staples and cardboard? (No kidding, cardboard.) Clearly, solid construction will cost more, but offer many years of trouble free service. Color selection is something else to think about. The lighter the color, the more maintenance it will require to keep the leather looking new and clean. Finally, is it all leather or did the manufacturer sneak in some vinyl? Vinyl and all its fancy name derivatives like leatherette, leather-mate, leather–match etc. is a synthetic, not the real deal. It won’t feel or wear like leather. It’s less expensive than leather, but simply doesn’t have the durability of quality leather. So, based on your budget, set your expectations correctly and think about how the piece will be used. Then when you shop ask the following questions. Is the leather finished or unfinished? Remember to consider placement and usage patterns. Is it top-grain leather? If it isn’t, it won’t have the durability you think you’re getting. Is it all leather or is some of it vinyl? Don’t be duped. How is the frame constructed? Remember the story of the three little pigs? If it’s going to last, it has to be well built. With the answers to these questions at least you’ll know what you’re buying.